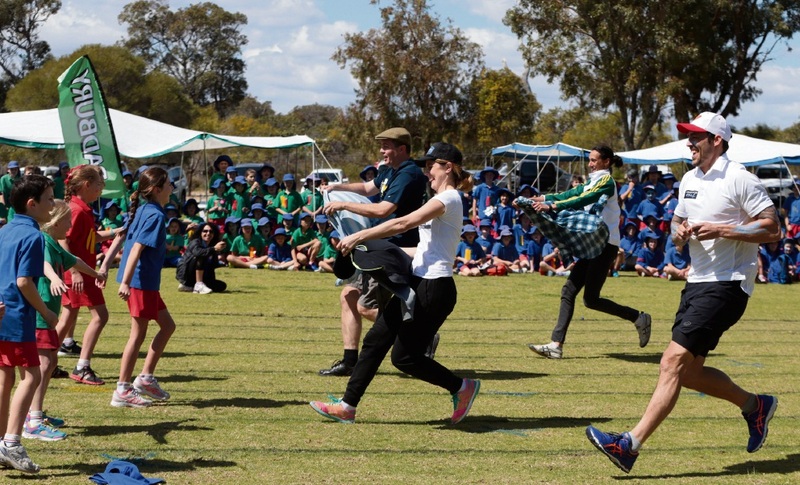 PROFESSIONAL athletes joined Padbury Catholic Primary School students at their sports carnival last month as part of a SunSmart event. 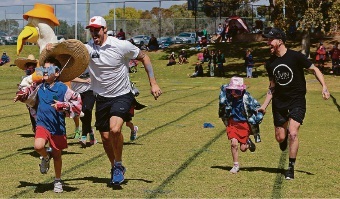 Australian cricketer Mitchell Johnson, national karate champion Jessica Bratich Johnson and Olympic heptathlete Kylie Wheeler were pitted against the school’s year group winners of the design your own SunSmart super hero competition in a novelty relay race. 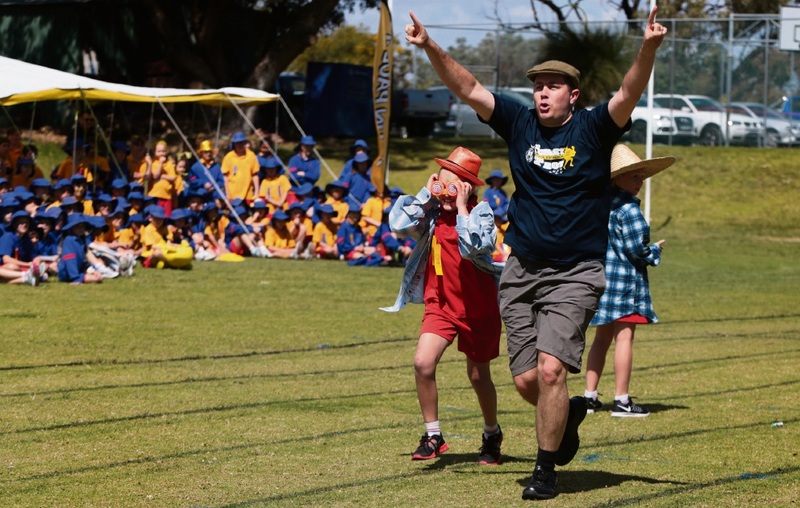 Radio presenter Woody Whitelaw was the MC. 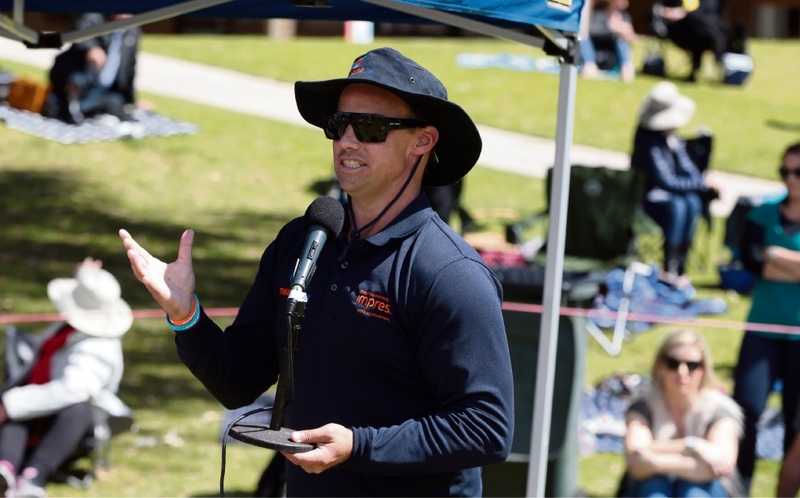 Founder of melanomaWA, Clinton Heal, then spoke about his journey with skin cancer and the importance of being SunSmart and while Cancer Council WA SunSmart manager Mark Strickland spoke about the how important real-time UV meters can be in the community and particularly in schools. 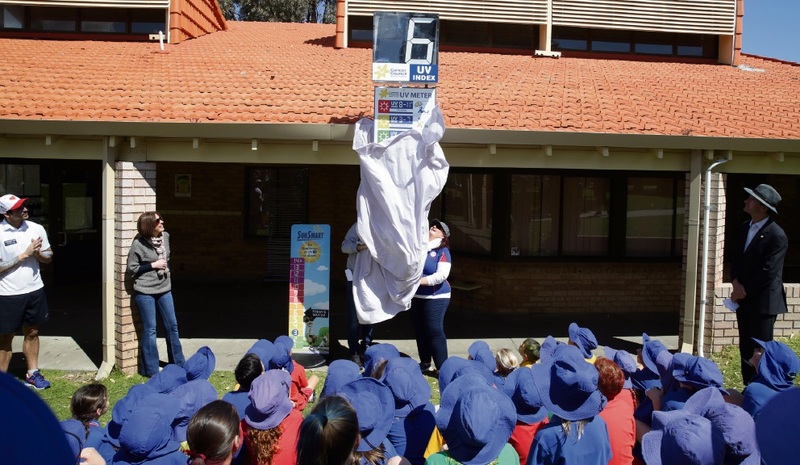 The event culminated in the unveiling of the school’s new meter, which aims to reduce the incidence of malignant melanoma and other skin cancers in the school community. 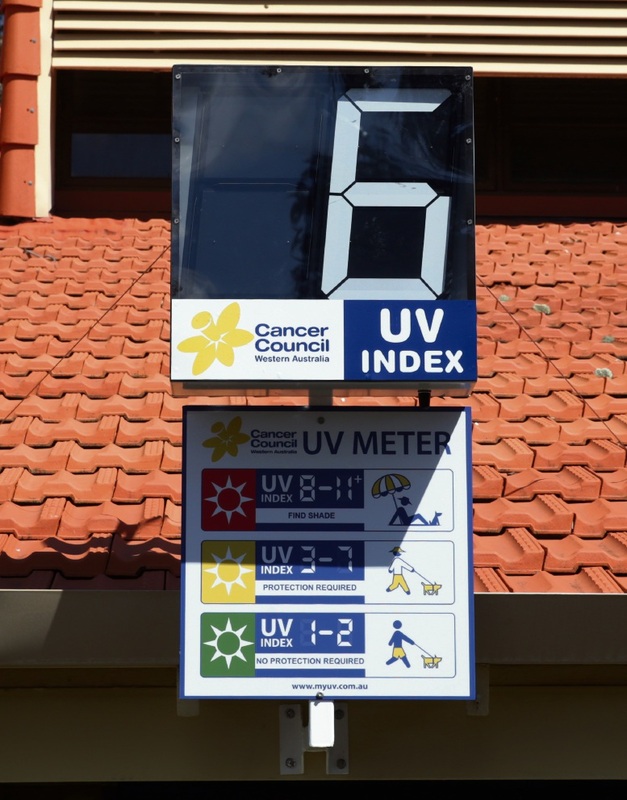 The meter and education plan will teach the students, parents and teachers to be guided by the UV index and not the temperature.